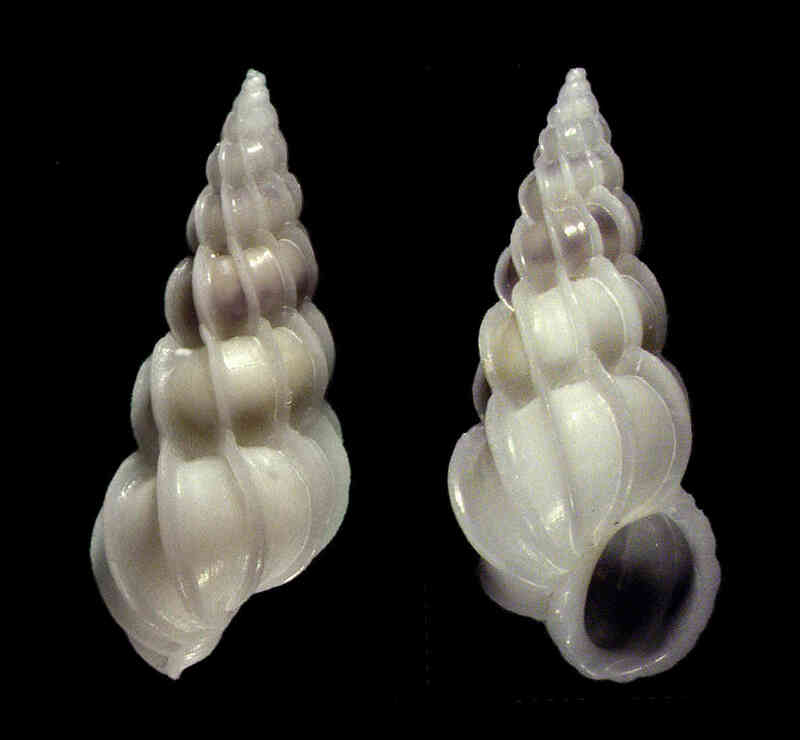 Shell size to 18 mml shell light, elongate. Whorls touch each other or nearly so. Sculpture of 10-14 thin, delicate costae on body whorl, interspaces between costae smooth. Costae round, without hooks or projections, merging with the ones above to form slanted “lines of costae”. Aperture elliptical. Color translucent-white, rarely with light-brown diffuse band below suture.